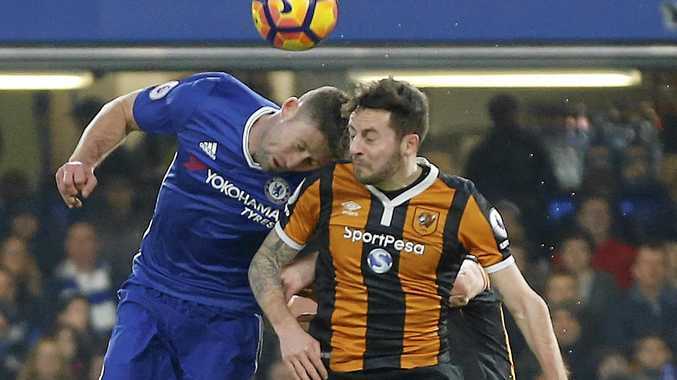 FOOTBALL: Hull City midfielder Ryan Mason has spoken for the first time since surgery on a fractured skull sustained after a clash of heads with Chelsea defender Gary Cahill. The former Spurs player said he felt "lucky to be alive" after spending a week in St Mary's Hospital, London, recovering after his operation. "It has been an emotional rollercoaster and I feel I am lucky to be alive, but I'm happy to say that I'm now at home resting and recovering," Mason's statement said. "I would like to thank everyone for the overwhelming support that has been shown to both me and my entire family." The 25-year-old has had plenty of support following the incident, which happened early in the first half of Hull's English Premier League defeat at Stamford Bridge on January 22. Players from Hull and Tottenham wore training shirts with printed wishes of support for Mason. No timeframe has been placed on a return to action and Mason added: "I will be taking each day as it comes."